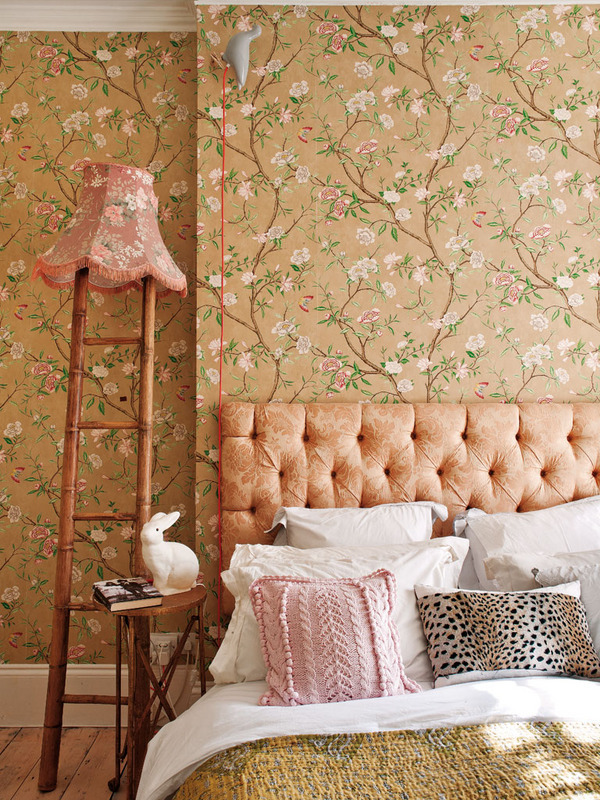 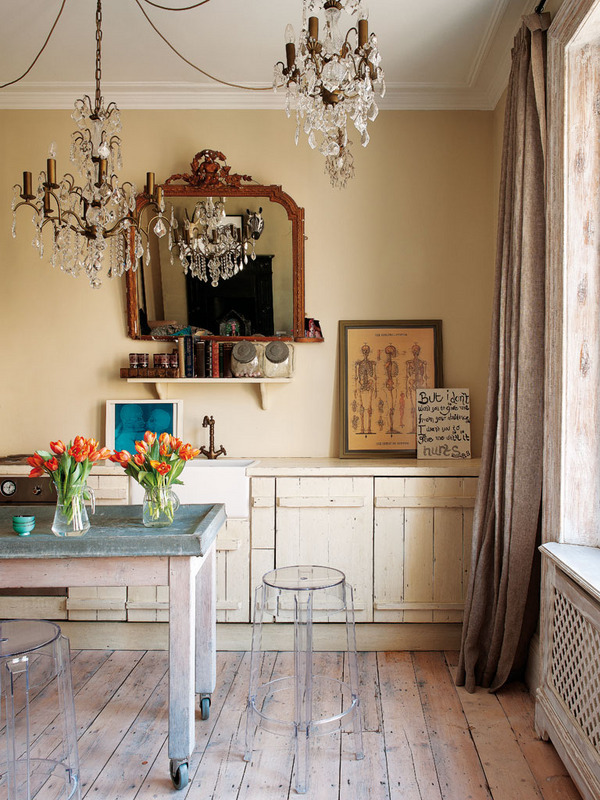 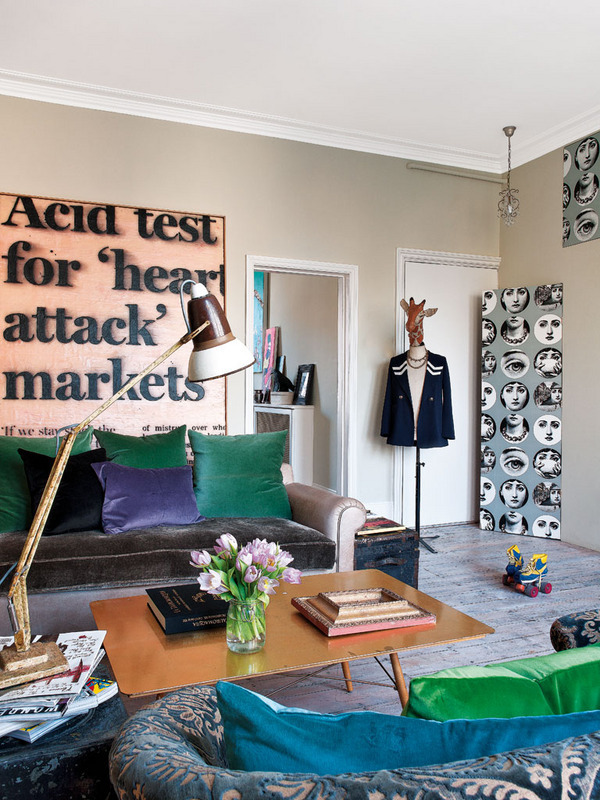 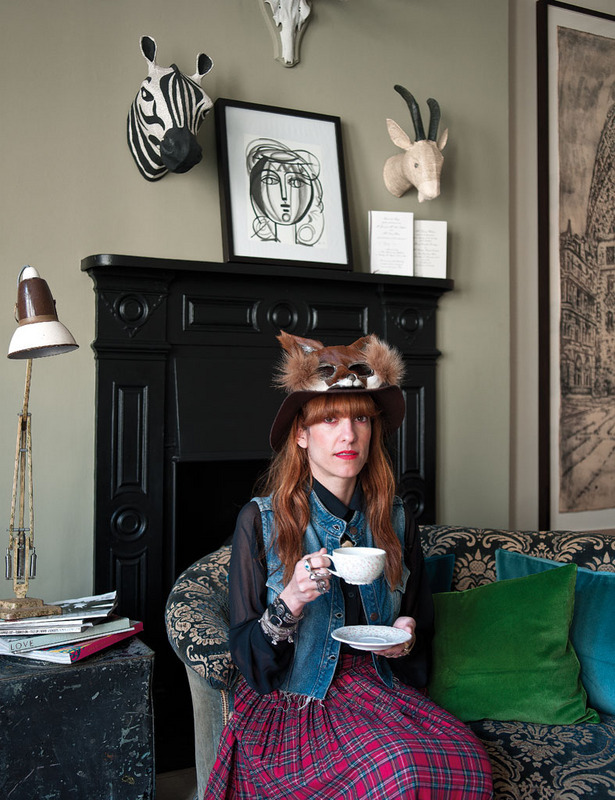 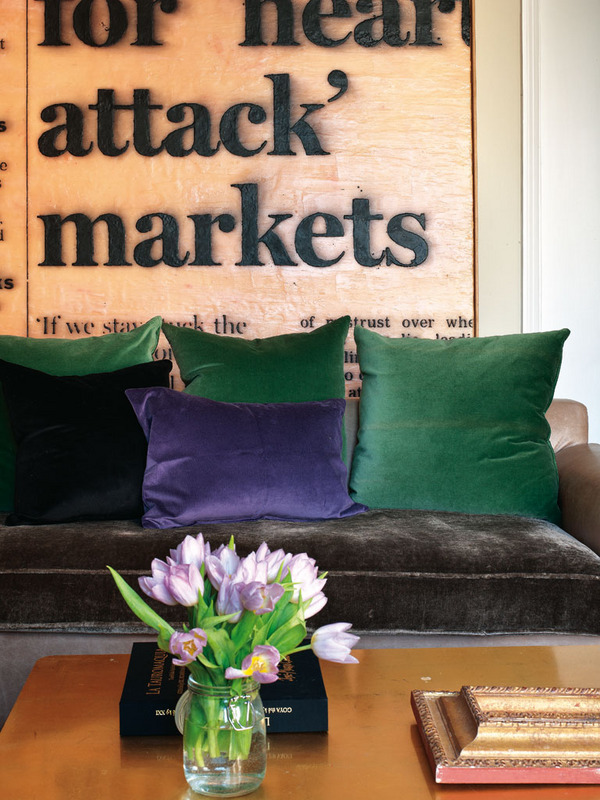 At home, London fashion creator Bea Deza seeks to create the perfect atmosphere for inspiration. 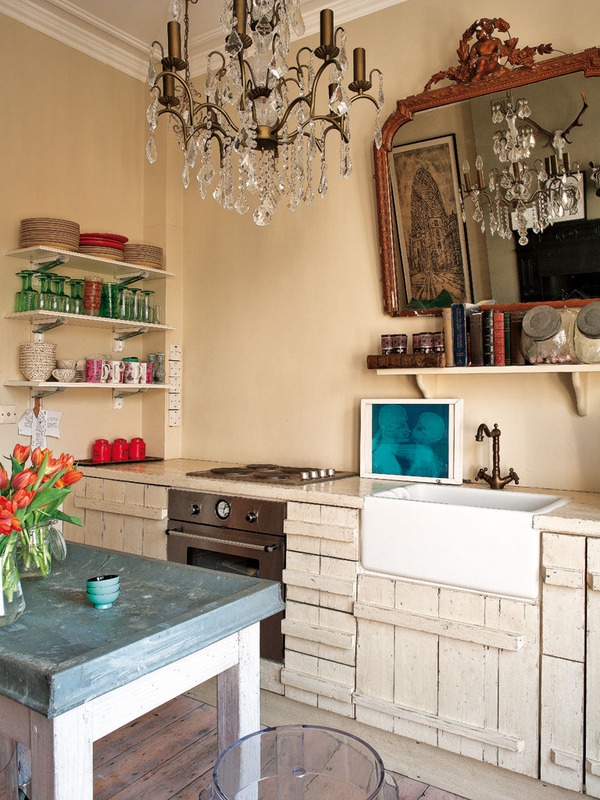 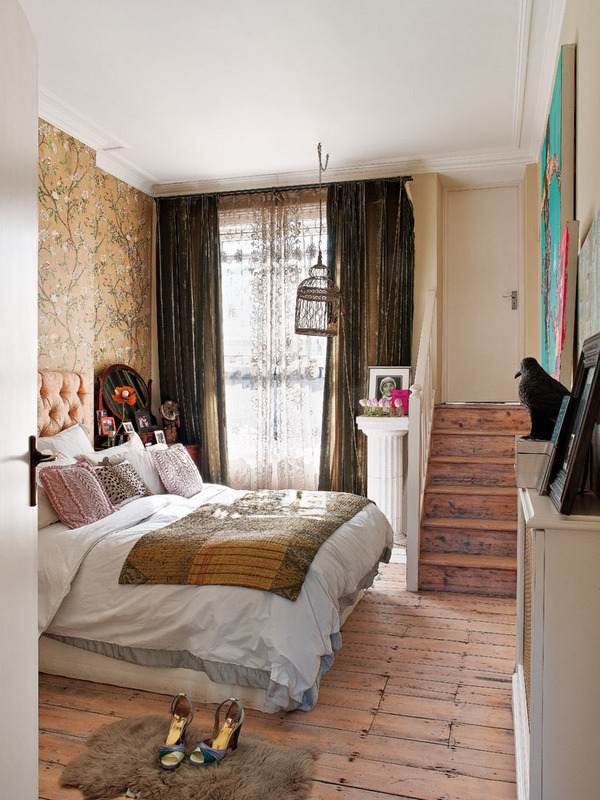 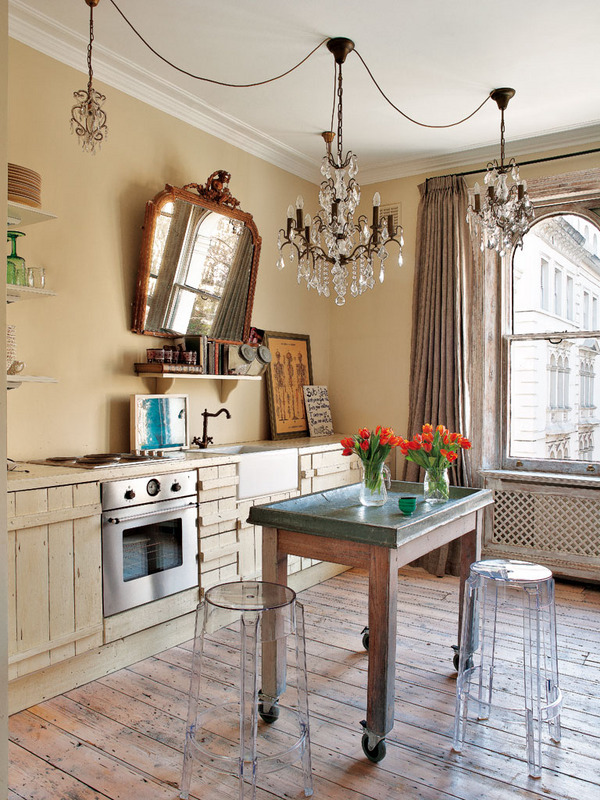 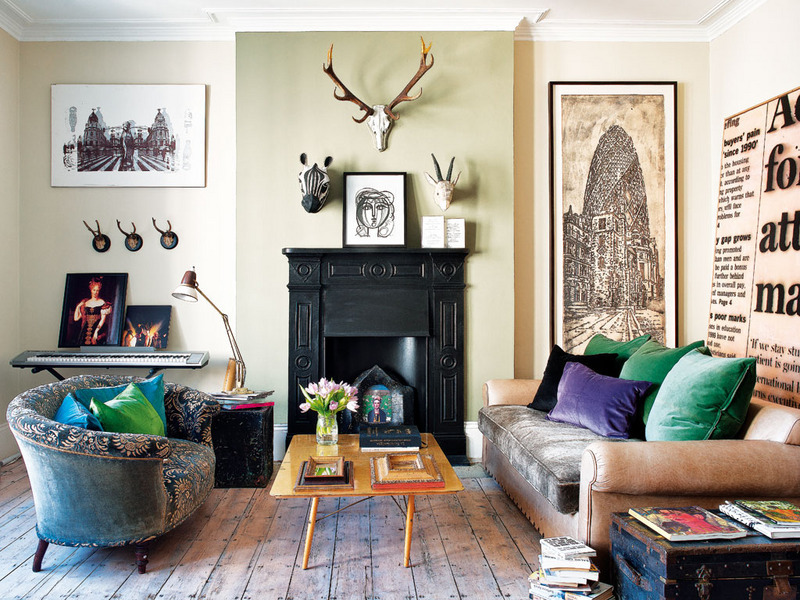 Freedom and eclecticism are the keywords for this pronounced decoration style. 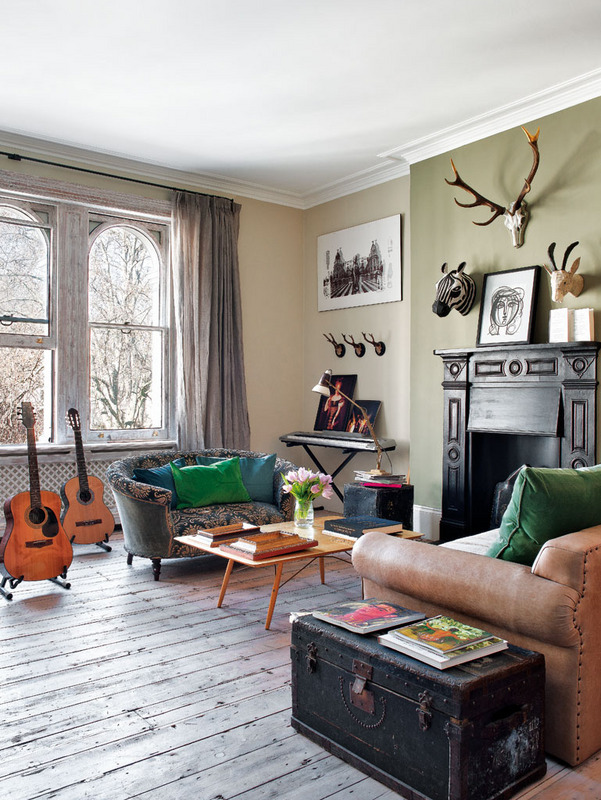 Guitars and keyboards are combined with vintage pieces. 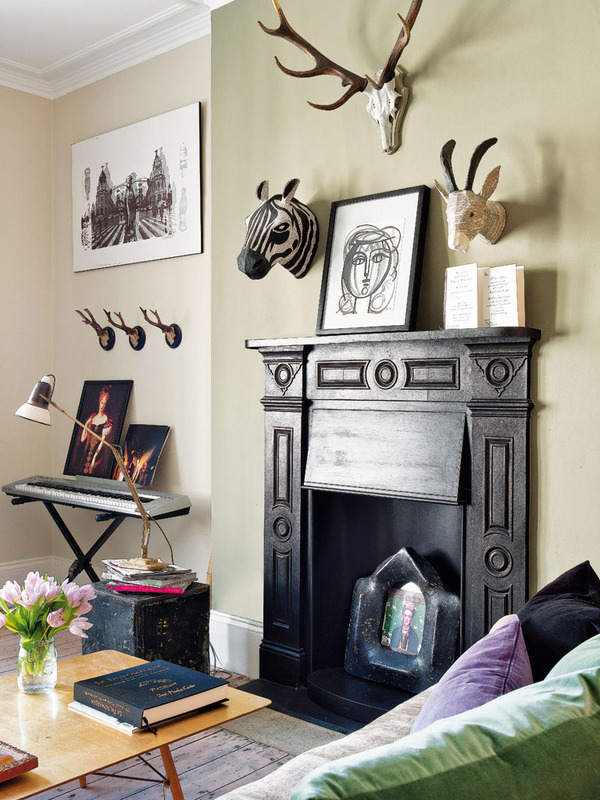 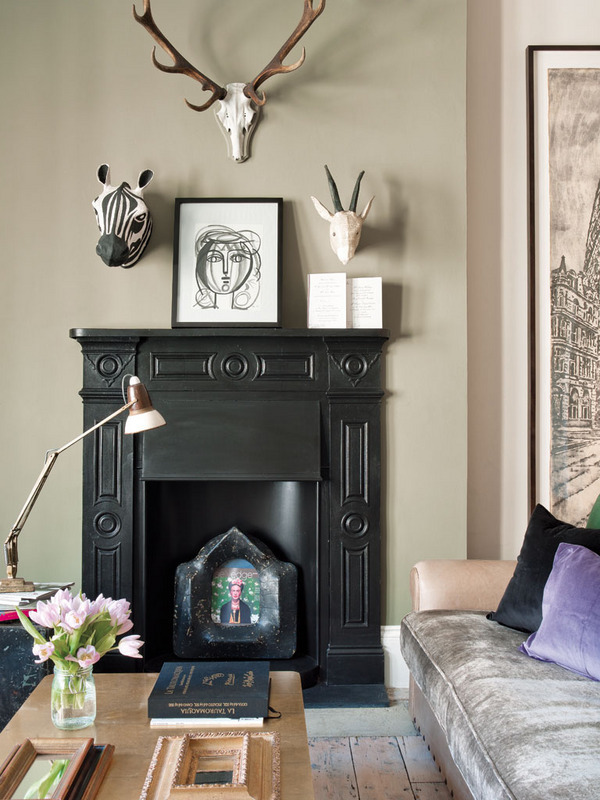 One of the highlights of the house is its beautiful black fireplace and the vintage sofas.